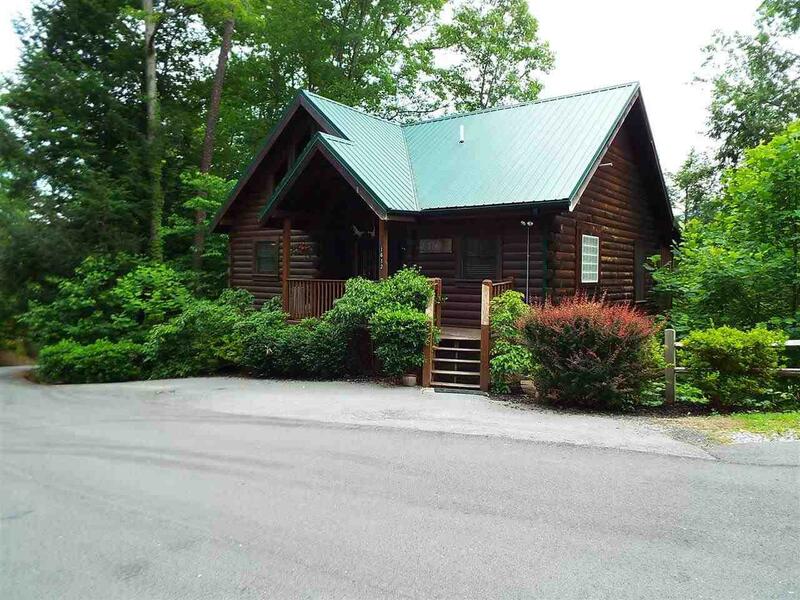 Just minutes from downtown Gatlinburg and Pigeon Forge this 3 bedroom, 3 1/2 bath log home is filled with all the extras! No steep mountain roads or stairs to climb makes it even more appealing! From the moment you walk in the front door you will notice the attention to detail. On the main floor you will find the fully equipped kitchen, dining area, half bath, living room with a beautiful fireplace for those cool evenings. From the master suite, located ju...st off of the dining area, there are French doors that lead you to the deck and the hot tub. The private bathroom offers an oversized whirlpool tub, plus a separate shower. Up to the loft is a futon for some extra sleeping space. In the basement is another full bedroom suite that also has French doors to the outside deck and a full size private bath with an oversized whirlpool tub plus a separate shower. Bedroom & bath #3 are located just off of the game room along with the washer & dryer. The game room comes complete with a pool table and custom made wet bar.